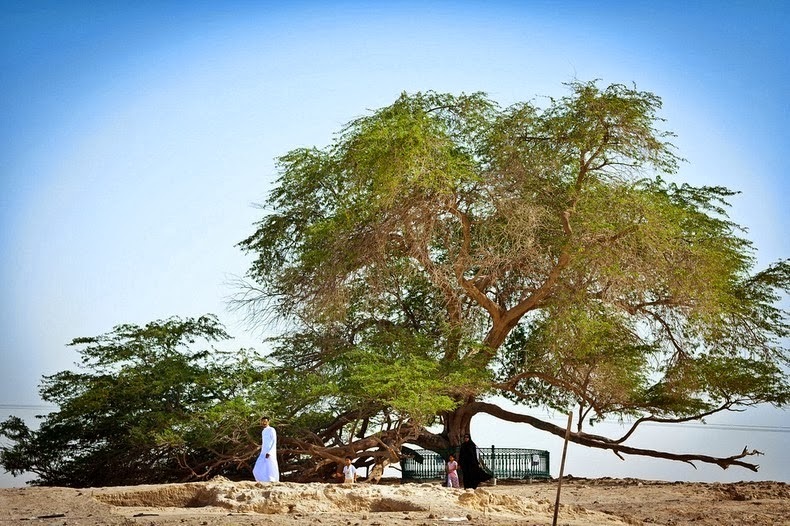 The Tree of Life or Shajarat-al-Hayat in Bahrain is a remarkable tree. 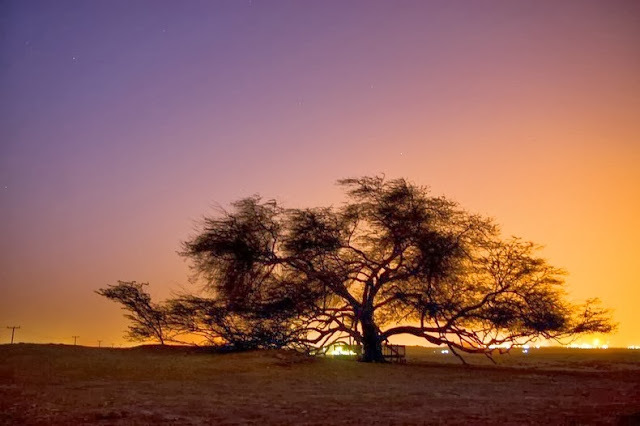 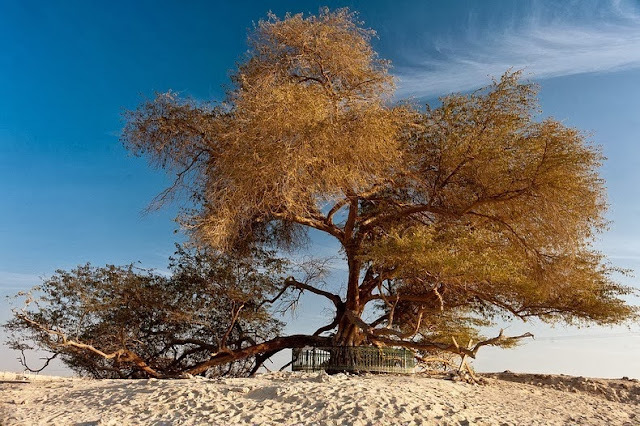 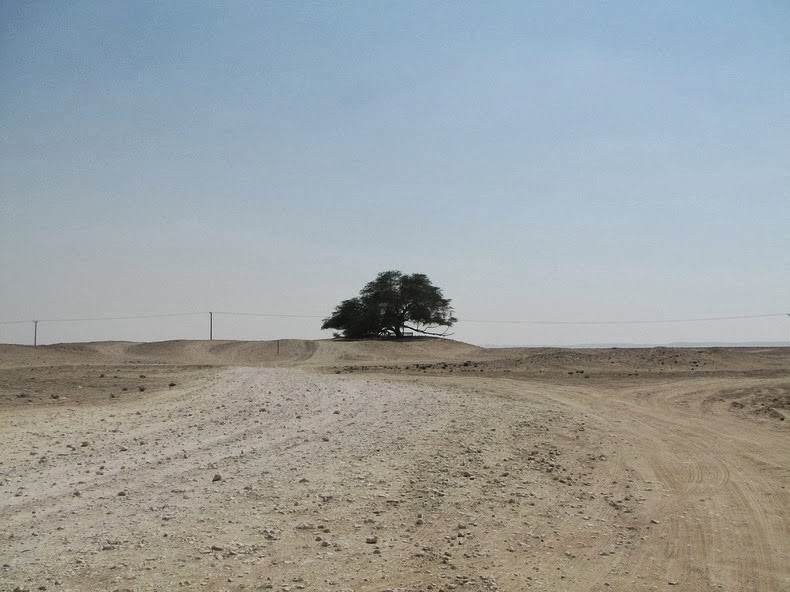 Located 10 km from Askar and some 3.5 km west from Jaww, this 32-feet tall Prosopis cineraria has been making a seemingly impossible living out of dry sand for approximately 400 years. There is no apparent source of water and other vegetation for miles around. 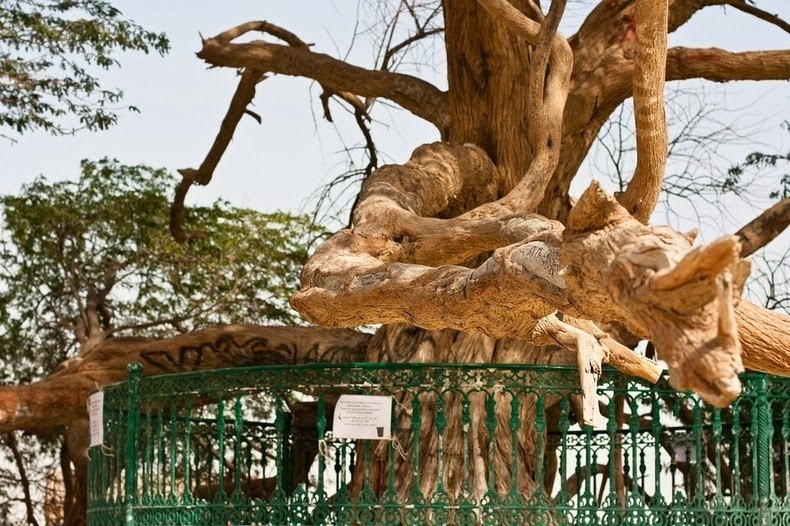 The mystery of the survival of the tree has made it a legend. 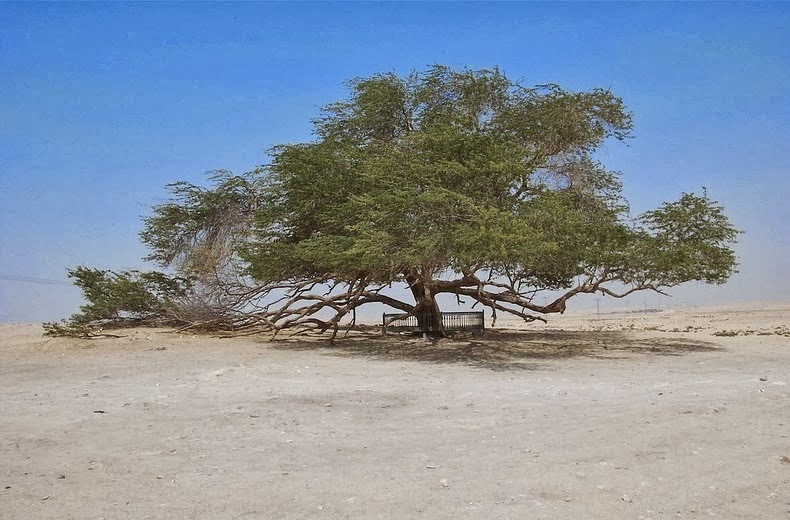 Most members of Prosopis genus are native to America and they have a common name - mesquites. 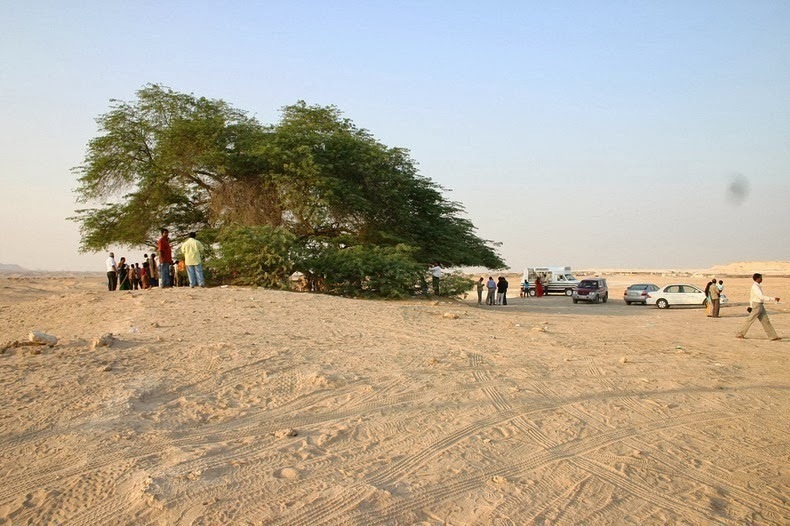 Prosopis cineraria however is native to Asia. These trees are known to adapt extremely well to dry deserts and thrive in arid conditions, with rainfall as low as 150mm annually. 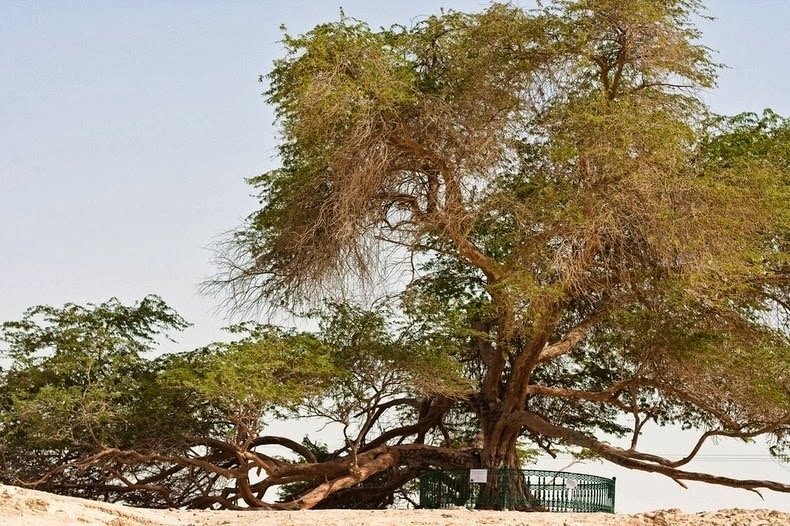 But they have deep root systems – sometimes going up to 50 meters down - capable of reaching deep beds of underground water.